Clearlink ushers in a new era of online-to-offline experiences with the application of intelligent customer experience practices. In the age of artificial intelligence and intelligent customer experiences, customers demand more from brands than automated lip service or impersonal business practices. Instead, customers prefer multiple channels of support and empathic, personalized experiences devoted to every touchpoint of their individual journey. And resources like online self-service solutions are not exempt—after all, a customer’s solutions experience ought to be intuitive and stress-free. Unfortunately, confusing self-help sections are often the rule rather than the exception and can further compound a user’s frustration, transforming a simple problem into a much larger one. This can impact overall customer dissatisfaction and cause otherwise loyal customers to break contract and sign with a competitor. 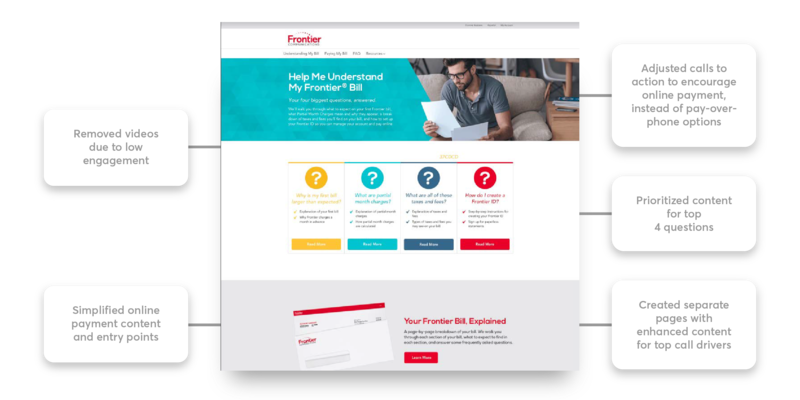 Frontier, a premier brand partner of Clearlink and SYKES, foresaw a potential setback in their user experience and seized the opportunity to innovate, optimize channel offerings, and empower both the customer and the solutions agent to have the best experience possible. Frontier’s issue was not uncommon—like many carriers, their online self-service content could be difficult to navigate and understand. Customers who started their service experience online would often find themselves unable to solve the problem themselves. This obstacle translated into an influx of unnecessary support calls to Frontier’s call center—most of which could have been better resolved by optimized online tutorials and other support content. 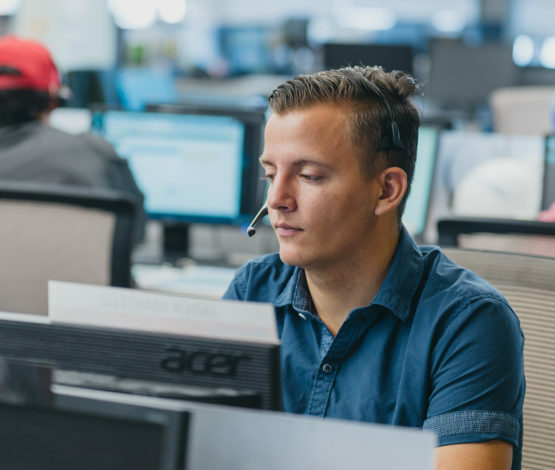 Using the principles of intelligent customer experience, Clearlink saw an opportunity to bring Frontier full circle: by improving Frontier’s online self-service content and connecting their online-to-offline platforms, Clearlink could eliminate superfluous calls to Frontier’s call centers and enhance customer relationships long-term. Early estimates showed that this process could decrease website-initiated support calls by 5%–10%, which would reduce costs and simultaneously improve the overall customer experience. 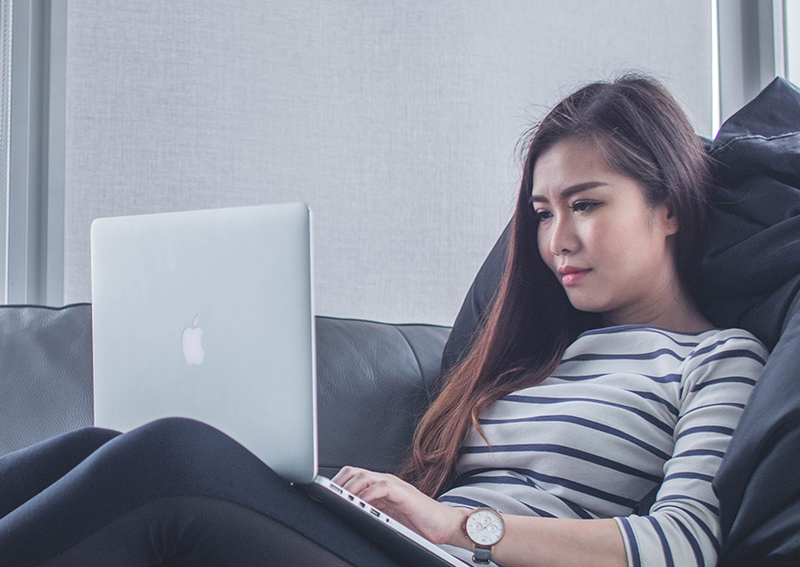 Connecting online and offline experiences is an integral part of the functionality of content, and brands must use the data derived from testing and optimization to improve system performance. SYKES: Sykes Enterprises, Incorporated, is Clearlink’s parent company and a leading provider of multichannel production and customer engagement services for Global 2000 companies and their front-end customers. SYKES’ differentiated lifecycle solutions and offerings effectively engage customers at every point of their journey. For this project, agents at a SYKES call center fielded inbound calls from Frontier customers. Clearlink: Clearlink, a SYKES company, partners with leading brands to drive valuable transactions, deepen customer insight, and extend brand reach. Clearlink has delivered millions of customers to their brand partners through customized marketing, sales, and technology services. For Frontier, Clearlink employed optimization expertise—such as conversion-proven marketing tactics, structural hierarchies, and design elements—to create a more valuable user experience and transform obstacles into optimizable metrics. 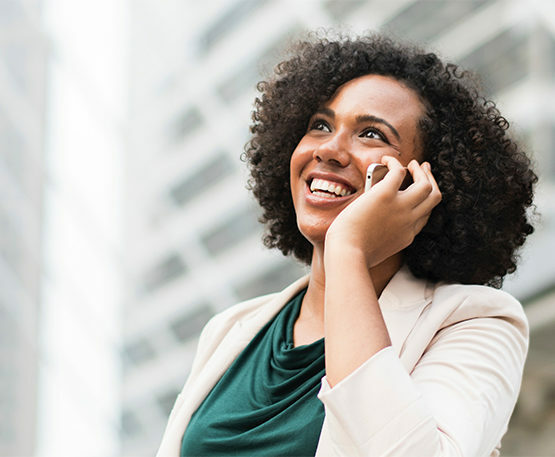 The power of Clearlink and SYKES’ collaborative methodology comes from their ability to use the principles of intelligent CX, which connects systems, data, and teams to create a seamless customer experience and merge all touchpoints of a user’s journey. In turn, this approach cultivates a sense of trust and empathy between the customer, service agent, and brand. Update and test two different content platforms. Analyze and optimize content platforms to best reflect customer experience. Then, employ a service team to use a customer’s feedback loop to better address pain points and reinforce a trusting relationship between the customer and Frontier as a brand. Analyze and optimize content engagement data again. Utilize agent feedback to improve the site’s functionality. Once areas for improvement are identified and prioritized, update and re-test content again. 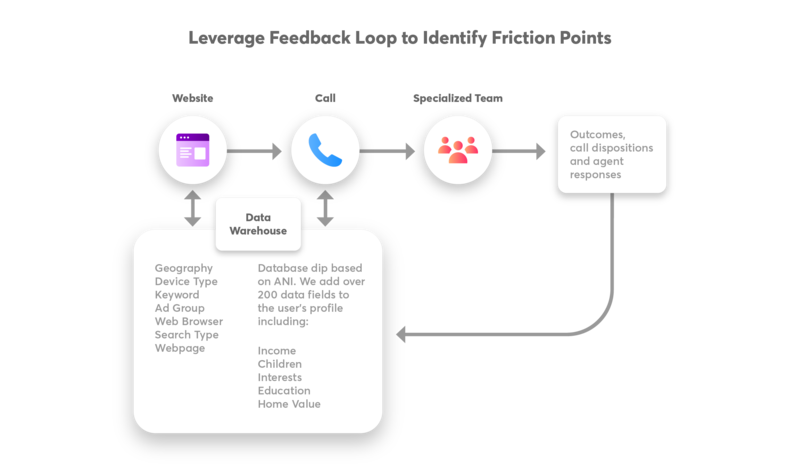 Ultimately, this systematic process allows for the continuous optimization of user experiences and reduces extraneous support contacts, as well as the associated costs. 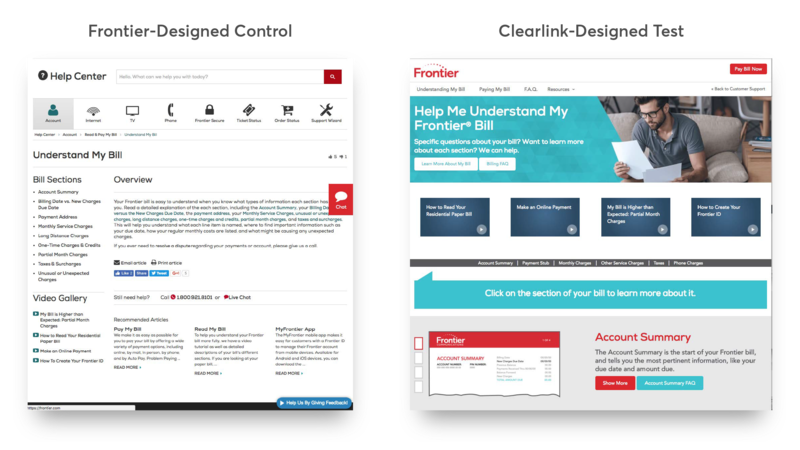 In order to best identify customer needs, Clearlink created a secondary self-help website to A/B test against Frontier’s original self-help webpage. Half of all inbound traffic was directed to the Clearlink-designed content, while the other half was sent to the original Frontier content. 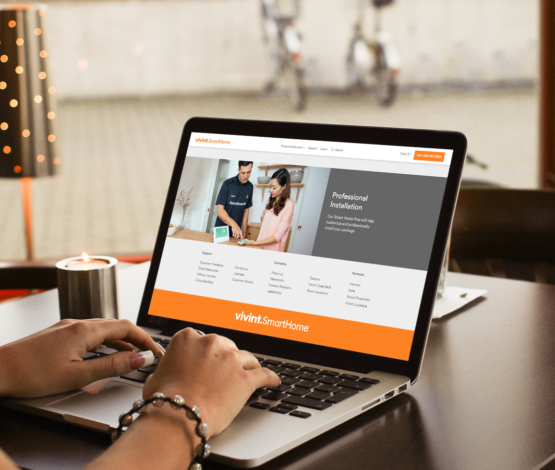 Clearlink created the new test site using traditional marketing approaches, specifically customer behavior analysis tools—thus offering Clearlink a better understanding of what customers are looking for when visiting the site. Upon completion of the initial test phase, Clearlink analyzed and compared users’ online behavior through clickstream data and heat mapping to identify what customers were seeking. This allowed Clearlink to optimize page design. It also eased the customer experience and linked the online-to-offline journey to generate an intelligent system. Any calls related to or derived from the customer care site visits were sent to a SYKES call center. Each agent received a prompt that indicated which section of which page (e.g., the original Frontier content or the Clearlink-generated content) the customer was calling from. Since the agent knew what the customer was seeing before calling,they were able to eliminate potentially redundant questions pertaining to the customer’s reason for contact and cultivate a sense of empathy regarding the solution experience. Upon clarifying the issue and providing an answer, the agent would ask for feedback from the customer to better understand what parts of the test website worked and what didn’t. After identifying the four most common problems, links directed to those solutions were placed above the fold on the page, which made it easier to triage the majority of traffic. The test website was equipped with self-help video tutorials, as Clearlink expected that users would employ the videos. However, the data showed that there was little to no utilization, so the videos were removed and published elsewhere. Existing and new content was also further optimized in a similar fashion to ensure the best do-it-yourself solution was easy to find and understand. Clearlink and Frontier gleaned that the success of content creation is directly connected to the effectiveness and efficiency of over-the-phone support: in sum—you can’t have one without the other. 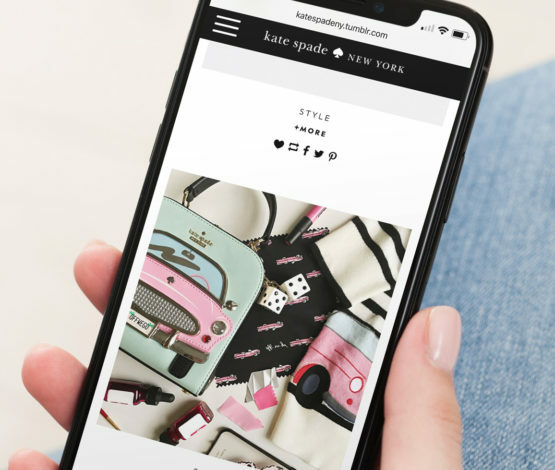 Connecting online and offline experiences is an integral part of the functionality of content, and brands must use the data derived from testing and optimization to improve system performance. This approach helps bridge the gap between customer service, empathetic relationships, and effective online-to-offline experiences. Making content easy to find, read, and comprehend reduced non-sales related calls for Frontier. Frontier saw a 20% decrease in support calls from pages that were optimized and updated. 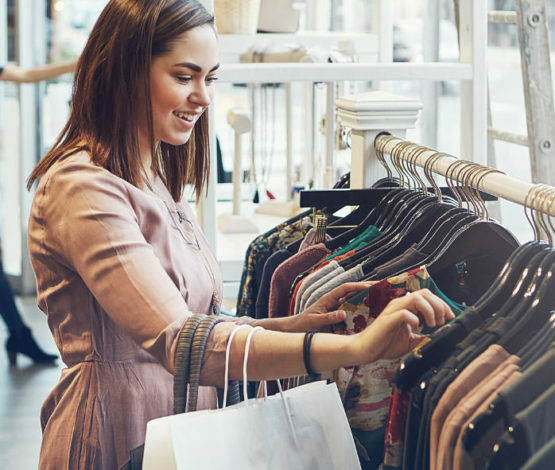 Traditional marketing techniques, combined with intelligent customer experience practices, helped retain more customers long-term.